It's that time again, dear readers, for the North American Nintendo Download Update. This week is undoubtedly a good one, with multiple promising releases across Wii U and 3DS. There are a couple of NES classics, a twin-stick shooter, a retro-styled RPG and a fast paced action title. Add DLC and discounts to that and you have a week full of tough choices; let's get to the details. Missed the European Nintendo Download Update details earlier in the week? Please don't cry, the information is all waiting for you right here. 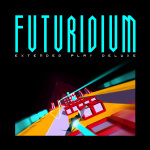 Futuridium EP Deluxe (Mixed Bag, $7.99 at launch, then $9.99) - Originally targeting an April release, this futuristic and high-speed title has you flying and shooting through a variety of colourful environments. Think of a faster Star Fox with elements of the Death Star run from the first Star Wars movie, and you're going in the right direction. We'll get cracking on a review. 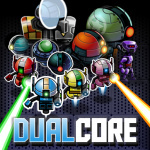 Dual Core (Gray Fin Studios, $9.99 / CAD$12.99) - This colourful twin-stick shooter has robots as the protagonists, wrapping a sci-fi story around co-op focused gameplay. Teaming up with others locally or with the AI seems to be integral to getting through stages, and robots in the team can be gradually upgraded with progress. It looks like it has a lot of potential, so we'll process an opinion and bring you a review soon. Dragon Fantasy: The Black Tome of Ice (Choice Provisions, $9.99 / CAD$10.99) - Developed by Muteki, this is the second eShop entry on this series after the rather enjoyable Dragon Fantasy: The Volumes of Westeria. We can expect more well constructed retro-style RPG gaming, with an all-new story and quirky features such as "ship-to-ship rock monster combat". We'll set off on the quest and bring you a review. 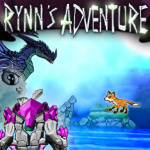 Rynn's Adventure: Trouble in the Enchanted Forest (Arcane Four Studios, $9.99) - An ambitious platforming adventure that seems to promise boss encounters and mechanics such as flipping gravity. It also has a handsome art style, though as always the proof will ultimately be in the gameplay. We'll go out in the woods today and see if this is a nice surprise. StarTropics (Nintendo, $4.99) - With visuals that lifted liberally from The Legend of Zelda, this NES title may look like a quirky anomaly with a passive glance. It has plenty to offer, though, with a charming style and some unique gameplay mechanics. 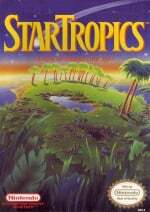 A bit of a cult classic, this, and we gave it a strong recommendation in our StarTropics review. 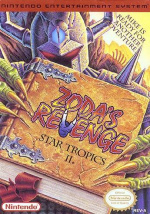 Zoda's Revenge: StarTropics II (Nintendo, $4.99) - Prior to its arrival on the Wii Virtual Console this one never made it to Europe, courtesy of being a very late arrival on the NES in North America. It's now on Wii U, too, and continues many of the approaches or the original but throws in tweaks and plenty of time travelling. We gave this a recommendation in our Zoda's Revenge: StarTropics II review. 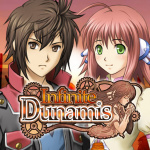 Dragon Fantasy: The Black Tome of Ice (Choice Provisions, $9.99 / CAD$10.99) - The portable version of the same title available on Wii U.
Infinite Dunamis (KEMCO, $9.99 / CAD$14.99) - This publisher has brought a number of iOS and Android RPG releases to Nintendo's portable, and this is another to add to the list. This one has a bit of a steampunk aesthetic going on, and we'll see whether it's an adventure worth embarking upon in our review. Epic Word Search Collection 2 (Lightwood Games, $7.99 / CAD$9.99) - It's all in the name as this will offer a lot of word search puzzles on the 3DS, which its predecessor did rather well. There are five new categories, and this entry also adds a "flip controls" option to the user interface, which was apparently much requested by those that picked up the first game. We'll search for the right words and bring you a review. Conveni Dream (CIRCLE Entertainment, $5.00 / CAD$7.00) - Those that are eager smart device gamers will likely be familiar with resource management sim games, and this falls into that broad category. You take charge of a convenience store and try to gradually expand and improve, while also dealing with events and quests. We'll check the expiry date on this one and work on a review. Fire Emblem Fates - Heirs of Fate Part III: The Changing Tide (Nintendo, $1.99 or part of map pack 2) - Shiro's wounded band must seize an opportunity. I guess at some point, Dragon Fantasy, as well as probably one of the discounts. I can't afford new games right now, so I picked nothing. Some good stuff here, though. Sonic Generations is on sale? Sonic Generations 2 for 2016 release on XB1, PS4 and PC confirmed! So glad to see the Star Tropics games. One of the few Nintendo series I've never touched. Looks like an interesting play. seems like Europe is taking a break from VC just so the US can catch up. thanks NoA! 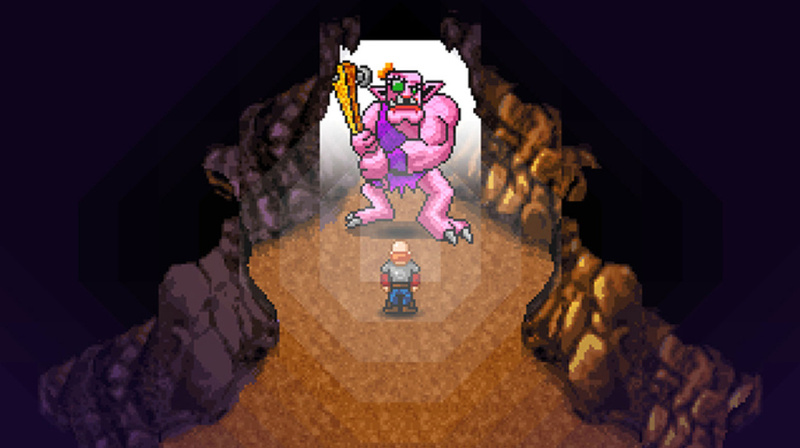 I may check out Star Tropics one day, but for now... nuthin'. FYI the europe update is now live and Persona Q is £17.99 but the SMT and Etrian Odyssey games are all £8.99. This makes chosing between the two Etrian games difficult. I will be upgrading StarTropics for a dollar. Wow, it's sure been a long time since I did that! Nothing for me this week. Sad part is seeing Stella Glow on sale reminds me that I still haven't played/opened my launch edition of the game. Shame on me and backlogs. Is there no cross-buy with the Dragon Fantasy game this time? Anyway, I'm getting StarTropics and anxiously awaiting reviews of Rynn's Adventure. Ehh, I MIGHT get Sonic Generations. I already own the PS3 Edition, so I might double dip. I'll only get Sonic Boom if it's free! What irritates me is that Nintendo stopped supporting 3DS VC (save for the recently-added snes-on-New-3DS)! Seriously, how much would it cost them to add both of these Star Tropics games, two games that I've been wanting in handheld form for some time, to the 3DS VC? Also, it would have been nice if they would have added Double Dragon III, since it is now available on Wii U and the first two are on 3DS! @KickButt_Gaming The game has different stages on 3DS so like instead of Chemical Plant and Sky Sanctuary you get Casino Night and Mushroom Hill. Nice! I'll upgrade Star Tropics and grab Dragon Fantasy and probably the shooter games. I waited on Stella Glow when it came out because I knew it would eventually go on sale. Now here it is! Why do you not put in prices for everything? A heads up, Part 3 of the fire emblem fates dlc was released last week. This week is the Heirs of Fate part 4. Are any more SNES games coming to 3ds VC? Seems it has been a while. @Mr_Zurkon They released Contra III just last week. But I'm with you, I do want more SNES VC on 3DS. No SNES games. So disappoint. Sadly The games I really want all have issues with copyrights so I doubt they will appear: SimCity, Star Fox and Yoshi's Cookie. Get Sonic Generations if you haven't already; it's a great game! The online is really fun, too! @invictus4000 My thoughts exactly! Except $40 is still a little steep for a "sale"...I forgot that this game launched at a whopping $50! I think $30 is the sweet spot for this game...I know it'll be amazing and well worth it based on their pedigree...I'm just not a big fan of the chibi style, especially when it's done with 3D models! Nothing this week, looks like Nintendo is telling me to save my money for the #kirbs. @keresmatic I would have thought Super Castlevania IV would have been out by now at least. Is Dragon Fantasy cross buy? Are the Dragon Fantasy games ever going to come to Europe? I think I will keep on my futile attempt to finish The Witcher 3 on PS4 this week. Why is Nintendo screwing over older model 3ds owners on VC titles? Star Tropics and its sequel should both be able to run on it, and again ill state the older models and 2ds can handle SNES emulation. If a modder can do it with any modicum of success then Nintendo should be able to do it better! I can't figure it out either. If anything, I would have assumed that Nintendo would have resumed putting the occasional NES VC game on 3DS as an apology, of sorts, for screwing over regular 3DS owners with the SNES announcement. Also, as I said before, why wouldn't they release Double Dragon III on 3DS, since they released it on Wii U, so people could have the complete trilogy? Japan got Shadowgate AND Final Fantasy I....why didn't we? Why is a system that has sales of 13 million getting more VC action than a system with 57 million? Why have they not jumped on the unified account bandwagon yet? I swear, Nintendo is the most infuriating company most of the time! What's nice is they added 2 of the Startropics so that there's at least room to play for a while. I'm bummed that a lot of the Wii VC were sequels and such but the WiiU only got the 1st games this time most of the time. For those who are considering Sonic Generations on 3DS, but aren't sure whether they should buy it or not, I can say it's one of the better Sonic games on recent Nintendo hardware. It's a bit on the short side, but if you have a lot of Play Coins (and enough determination to earn more, since this game requires over 300 of them), you can unlock challenges for some extra gameplay. I'd say the game is well worth $10, but no more than $20, but we'll see how much Sega asks for it. @nyarth We share a mind. Haha. I jumped on the eshop to check the discount and 40 bones is still too high for me too for the same reason as you. Im ok with the anime based art and whatnot but less of a fan of the super deformed chibi character models. Ill buy once it inevitably drops to around 25. That Steamworld Heist sale is looking mighty good to me. Shouldn't the FE Fates dlc be IV:Light's Sacrifice, part III was last week. I also noticed that Etrian Odyssey Millennium Girl is on sale for ten bucks. You all should buy Stella Glow. Amazing. @nyarth I'm the biggest anti-chibi person and I absolutely LOVED it. I can't stress how amazing it is. It'll be StarTropics for me. Sonic Games are on sale across all platforms. of course ill be transferring startropics 1 and 2 to the wii u side of things. been waiting for this.